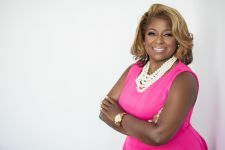 Find a BOSS Profile Business Profile for "J Coach International, LLC"
Jena is the #1 Possibilities Coach. Her personal and compassionate style enables her to quickly build rapport with her clients, fostering strong relationships. She helps her clients achieve transformative results empowering a full range of possibilities. As a entrepreneur, coach, speaker, and a mother with over 30 years corporate experience, she understands not only the challenges that women face when juggling family, marriage, career, corporate politics, life issues and building and running a business but also the toll they take on her personal joy. Jena's unique perspectives and insights lead her clients to breakthrough mental roadblocks and limiting beliefs so they move beyond their circumstances with clarity, courage and conviction, realizing real results fast. Focus areas: Women's Well- Being Destination Retreats, career, employment, business, personal development, overcoming life issues, getting unstuck, life changes, leadership.